The Facebook Home Screen as the lock screen is a trending concept among various smart phone users. This concept is not available only for the android phones but is also extended to other operating systems also. However, recently Facebook has unleashed a home update exclusively for Android that allows the Android lock screens to be seen with other social media support like Instagram, Tumblr, Pinterest, etc. This is a very exciting feature that actually makes users convenient to have one tap solution to all their social media woes. 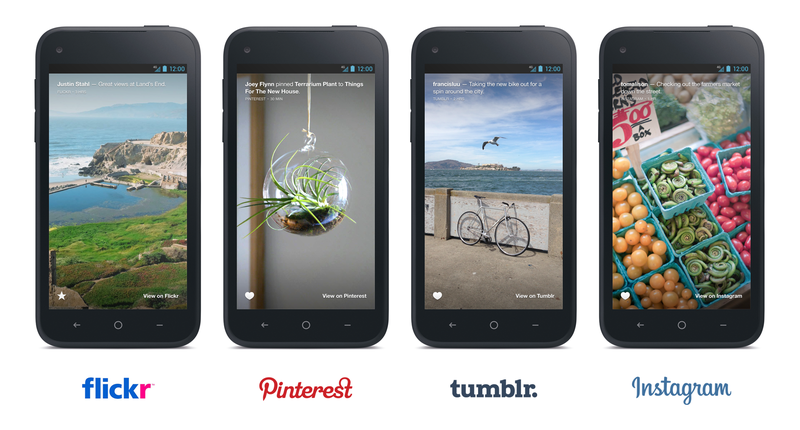 Now with facebook home lock screen featuring all other non-facebook updates like Instagram, Tumblr, and Pinterest the users are carried to a new level of social networking. The users can efficiently view the notifications on their home screen itself from all the above mentioned social media websites. Not only these, the users can efficiently have the full fledged features like liking the posts or sharing it with just one tap on the home screen. However to view the full content, you must click on it which will lead to opening of the web browser where you can view the full content and you can comment, share from there too. Facebook Home is the software suite that originally came packaged in one undesirable package which is now accessible in bits and pieces. One component is that the lock screen also known as Cover Feed, proffers smartphone users a mainly photo-centric, berated and panned version of the conventional facebook News Feed. This smart phone versatile experience for android users has become the crucial point of a novel tactic designed to triumph over detractors by slotting in content ahead of Facebook's walls. Although Twitter is obviously missing, the Home update has additions of Pinterest, Tumblr, Instagram, and even Flickr might go an elongated way in exerting a pull on group of users who primarily sniggered at the thought of Facebook all the moment. The app still performs in the same manner like the previous lock screen update that is available in other operating system too, replacing your recent lock screen with a sturdy torrent of status updates and photos from your Facebook friends. What was hilarious about this update is that since Instagram is now supporting ads you will be seeing those ads too on the facebook newsfeed which is really annoying at times. These are the various changes that have been updated to the Home Update. 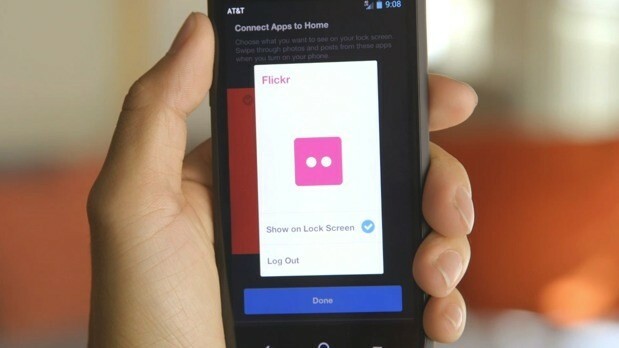 Users can now see photos and posts from Flickr, Pinterest, Instagram, and Tumblr on their lock screen. They can like those posts with a single tap. Although many users consider this as a welcome change, many of the users still feel that this concept is complex and over loading the home screen. The previous update and set facebook as lock screen option is other operating systems like windows just randomly displayed the photos from your facebook which was colorful and impressive. This on the other hand is divisive and not very much accepted. At the same time there are set of users who think this as a welcome change and appreciate this. However to know exactly this new update will be a breeze or boon depends upon how users feel after few weeks of using it and also depends on the number of downloads done. The social network (Facebook) also said it has many plans to embed more and more services in the future. Maria Lynette is not a well known name. But, the person holding the name wants to be. She writes article on various topics related to mobile aspects especially on Mobile Application Development Companies in California.Follow me her on Facebook, Twitter, Linked In, Google+.